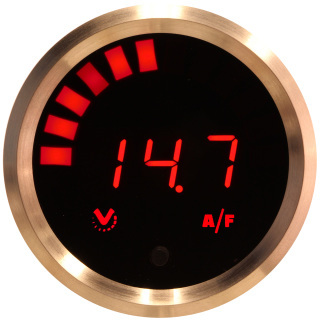 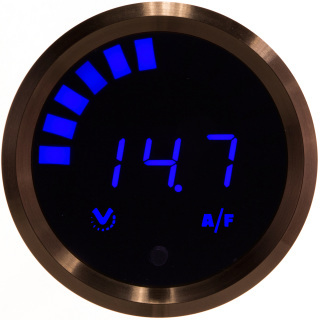 Universal Wideband Air-Fuel Ratio Display can be used with of the popular wide-band air-fuel ratio controllers that puts out a linear signal of 0 Volts to 5 Volts or near to range. You can set up almost any positive-slope or negative-slope linear equation by programming the display value represented by each of these endpoints. See chart below for list of known controllers with 0-4V or 0-5V linear outputs. 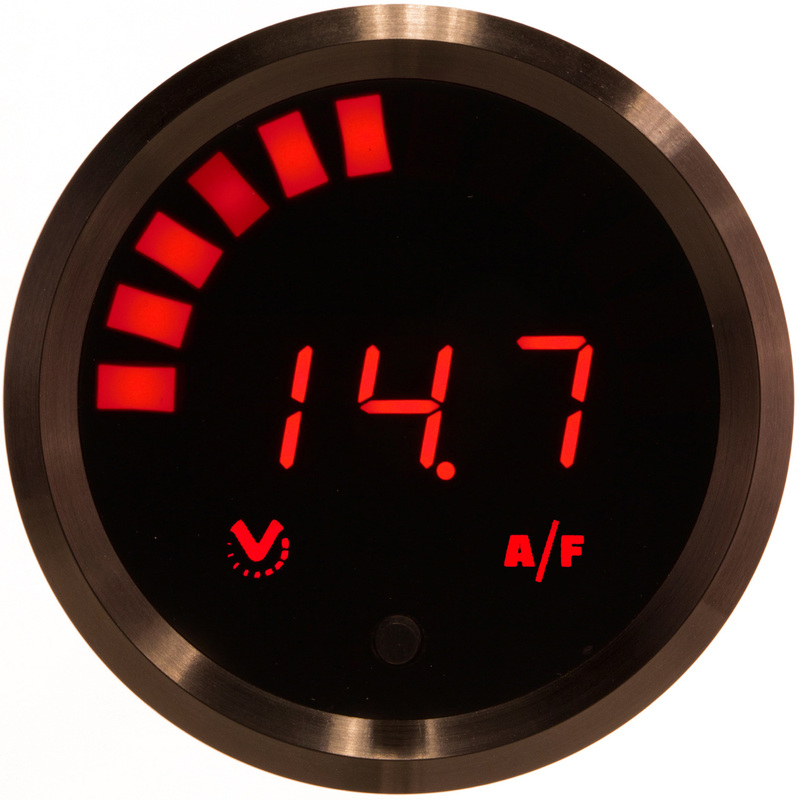 Sender required: Wide-band controller and matching wide-band oxygen sensor. See support area for manufacturer chart of O2 sensors.